In 2005, CoActiv was a local Conn. 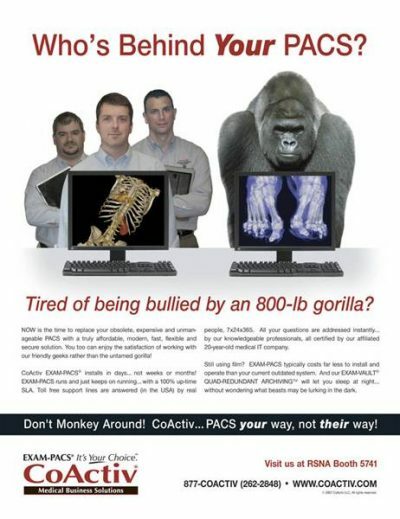 IT company with several custom-developed technology implementations in nearby healthcare and medical imaging practices. 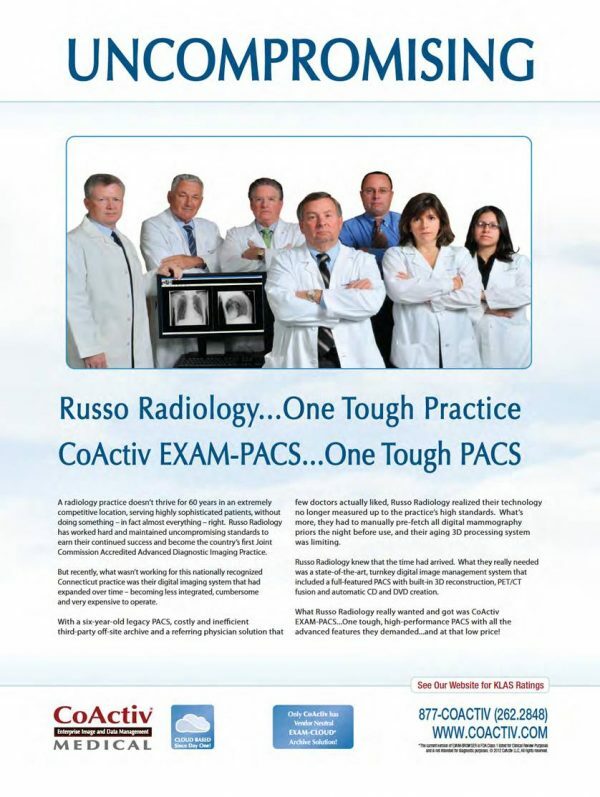 That year, for the first time, the company attended RSNA to introduce its initial PACS product. 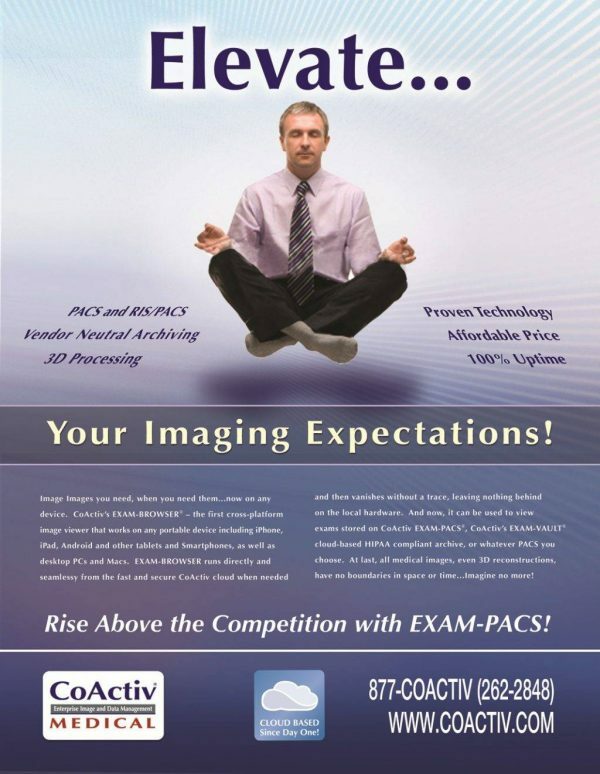 It hoped to significantly expand its customer base and to become a recognized force in the medical imaging field. Over the years, as CoActiv’s HealthFlash marketing efforts helped CoActiv gain significant traction and recognition in the field, the company’s business expanded to include hospitals, multi-specialty practices, in addition to radiology groups. 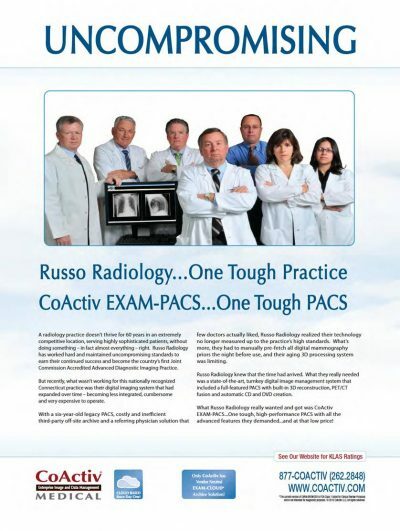 So too, as its success grew, the CoActiv product line expanded.Its RSNA booth size increased more than four-fold as it moved to a location of prominence at the major medical convention. The company’s sales increased steadily each year as did the caliber of its customer base. 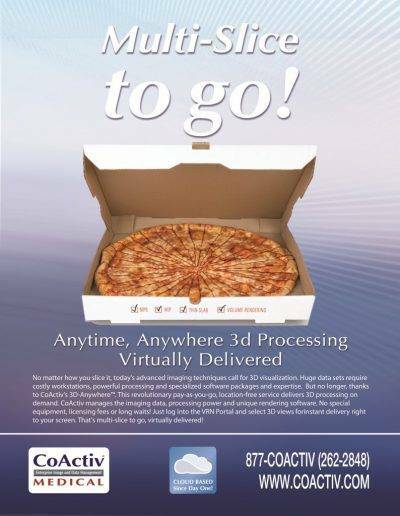 Today, its technology integrates at many installations with such companies as G.E.and Siemens. 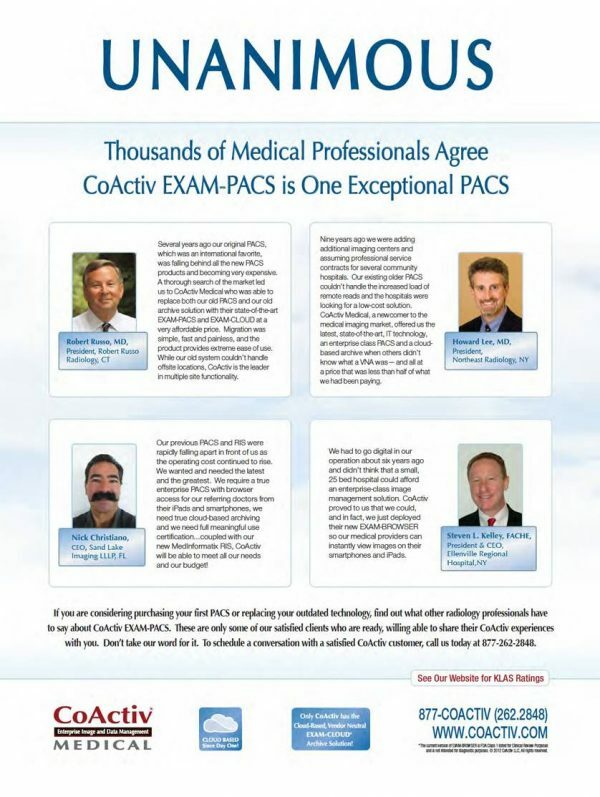 HealthFlash has been responsible for planning and implementing all marketing activities for the rapidly growing company, Shortly after engaging HealthFlash, the CoActiv brand was seen all major healthcare and IT media, with memorable ads based on consistent themes and was featured in the editorial content of major industry media. Attention-getting giveaways and contests drew traffic to the company booth at major industry events. Press frequently interviewed company president Ed Heere. 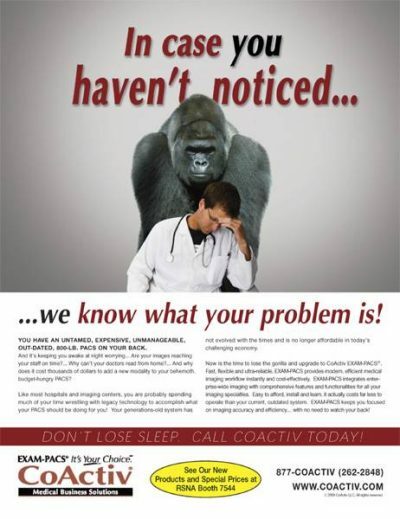 Because CoActiv succeeded in attracting a number of well-recognized radiology practices, at one point,HealthFlash recommended a series of testimonial ads that used these customers to reinforce the credibility of the brand, while creating an attention-getting campaign. These ads are presented in the portfolio, along with others These same installations also were featured in case studies in numerous industry magazines. Simultaneously, a steady stream of press releases also highlighted sales and other company developments, keeping the CoActiv name in the news. .In addition to this, other more creative ads helped the company differentiate itself from the competition. 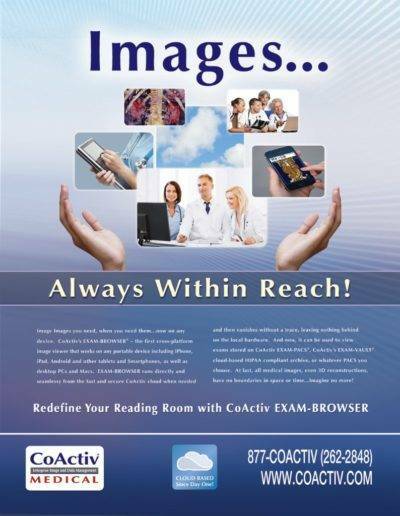 Over the years, thanks, in part, to its partnership with HealthFlash, Coactiv was transformed from a small local firm to a company with national and a growing international business.